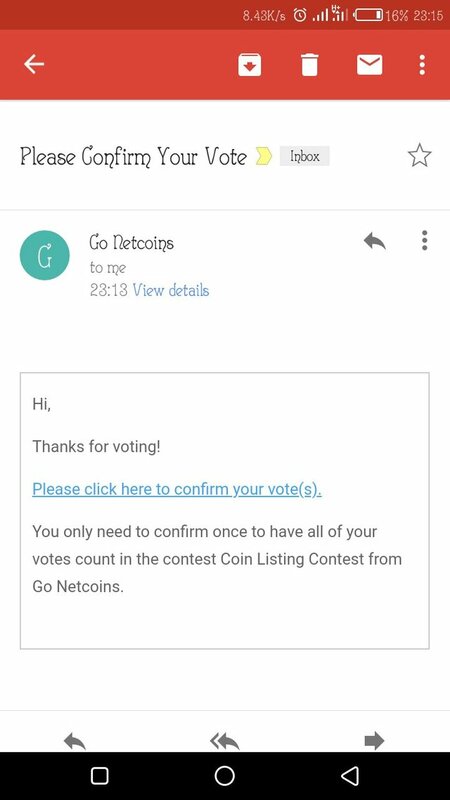 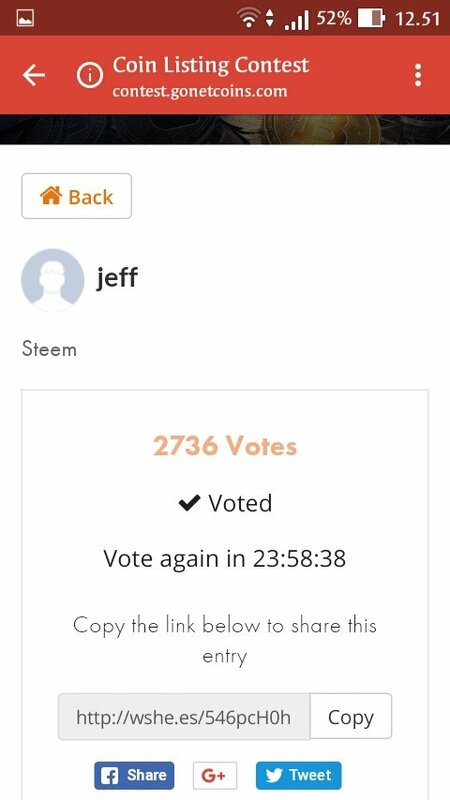 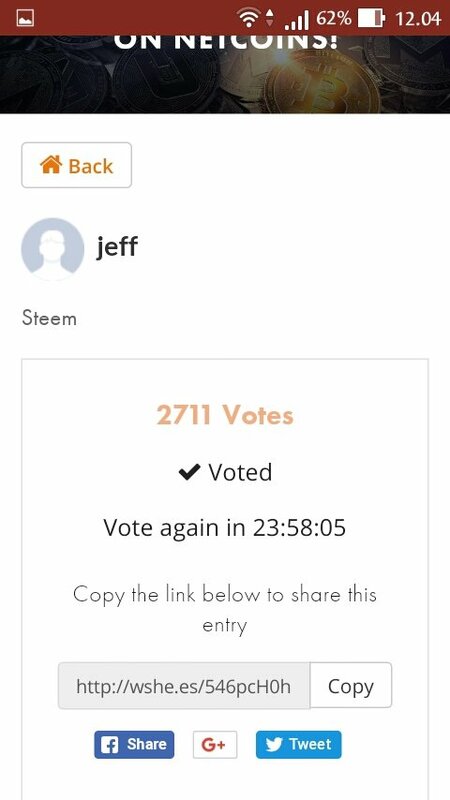 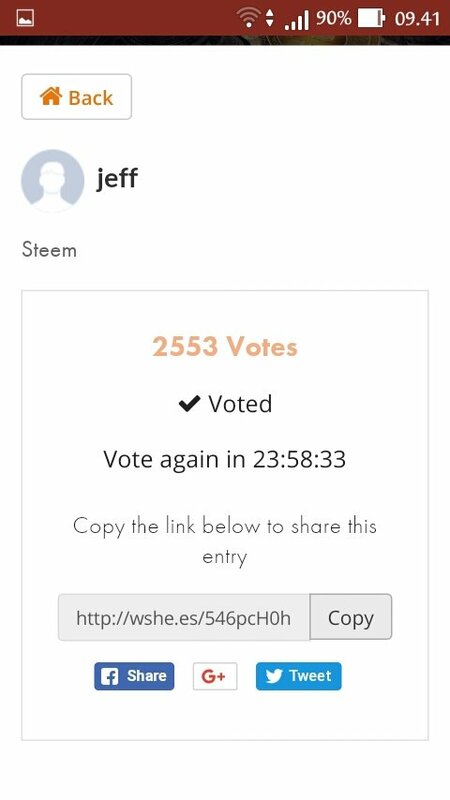 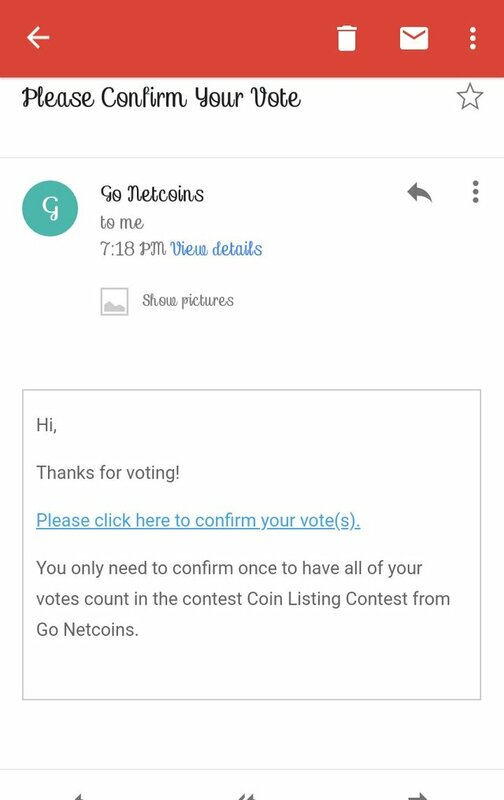 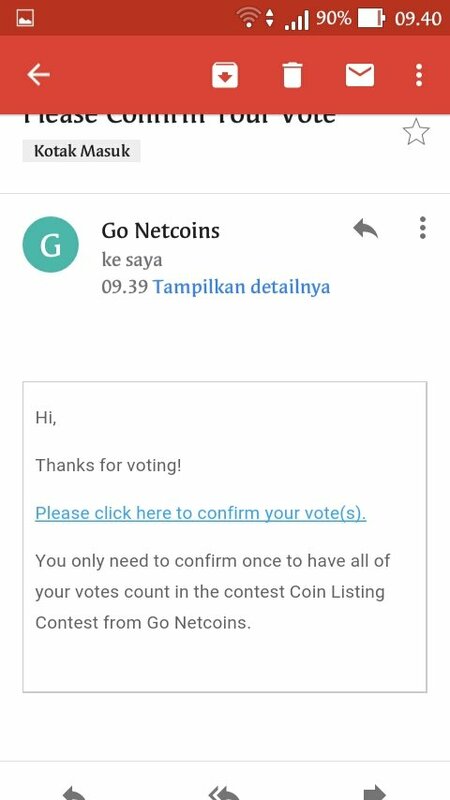 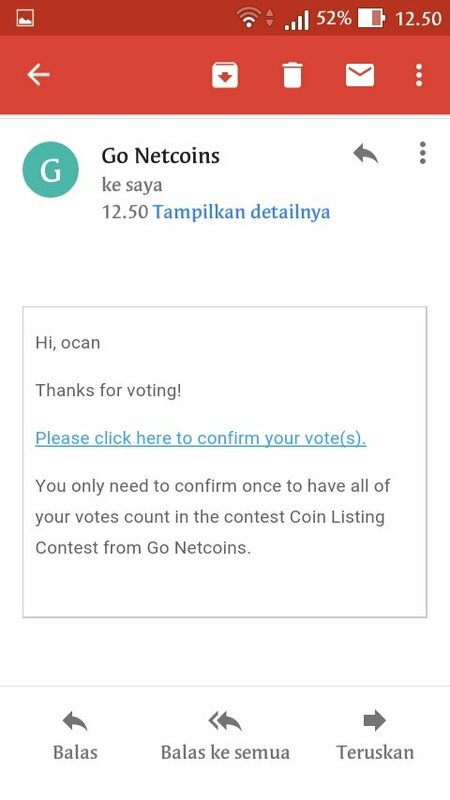 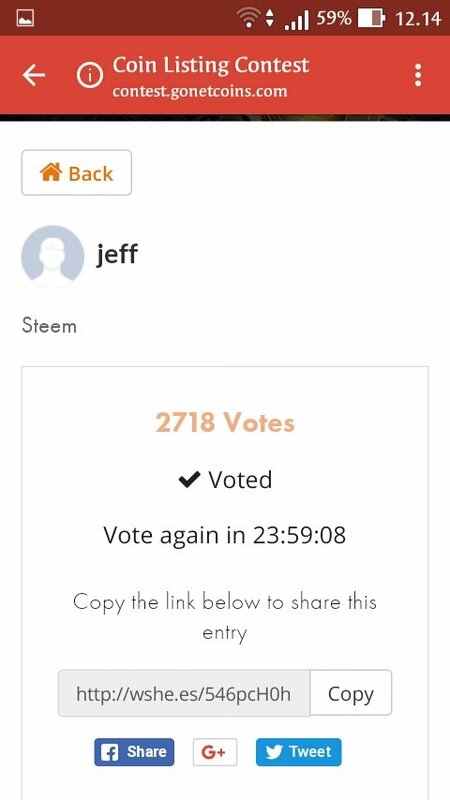 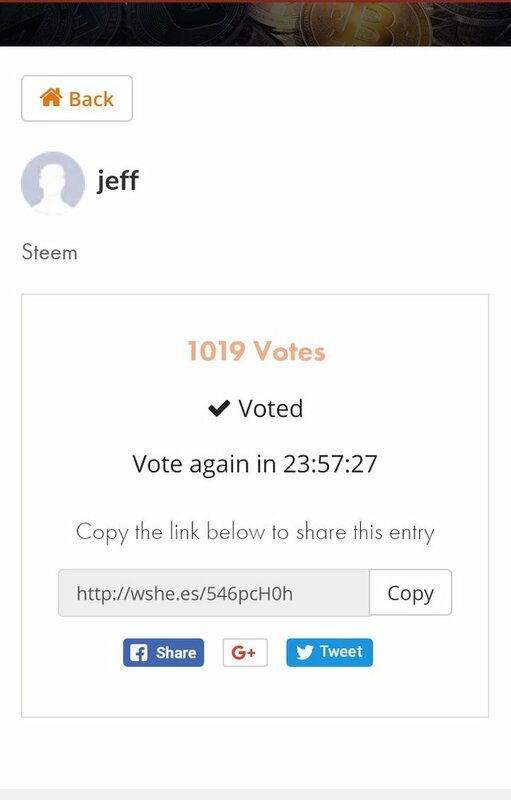 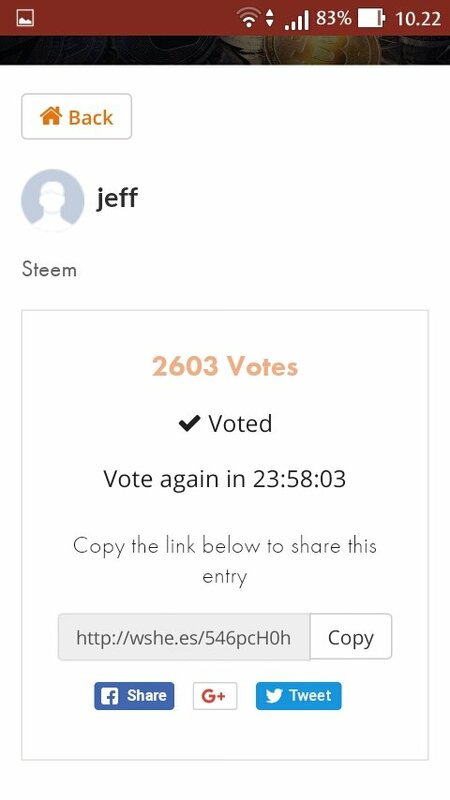 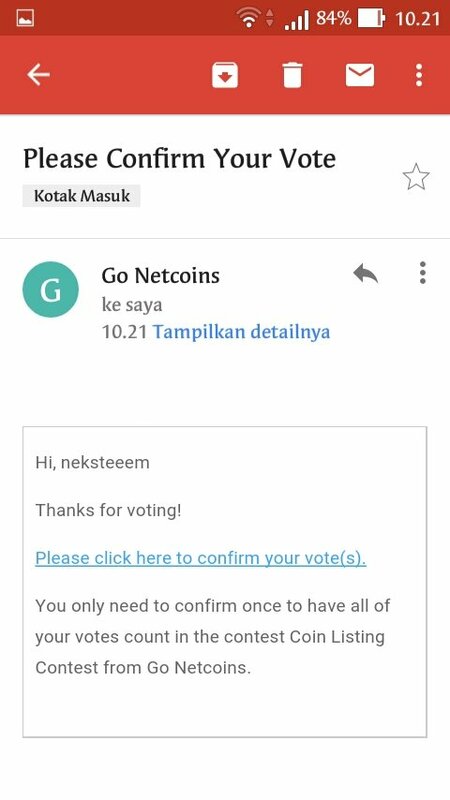 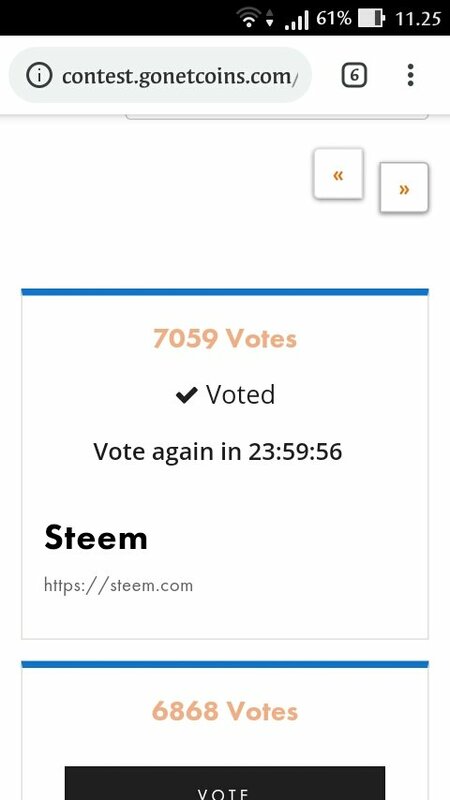 Steemjetmedia is calling on all Members of the community to Vote for STEEM to get listed for free on NETCOINs. 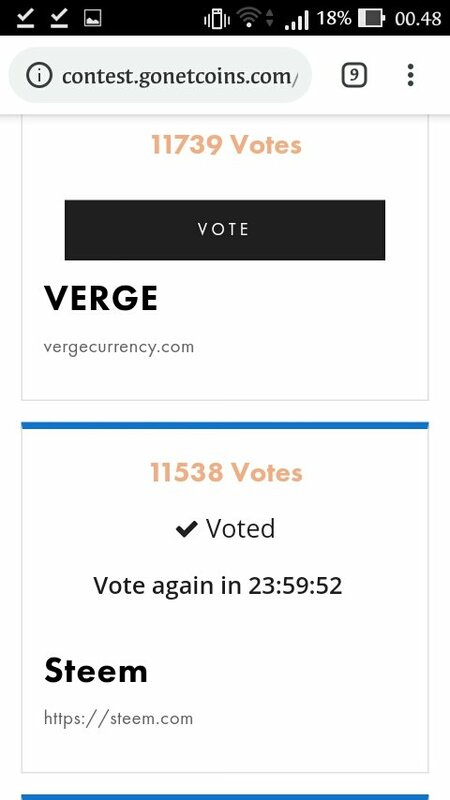 It is worthy to note that voting is done daily and we are really relying on our community strength to pull this through. 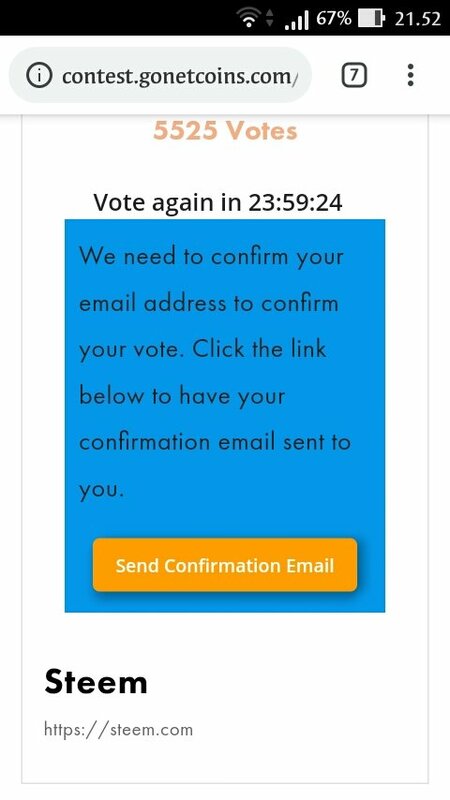 We’ve attached extra incentives to compensate you for your time. 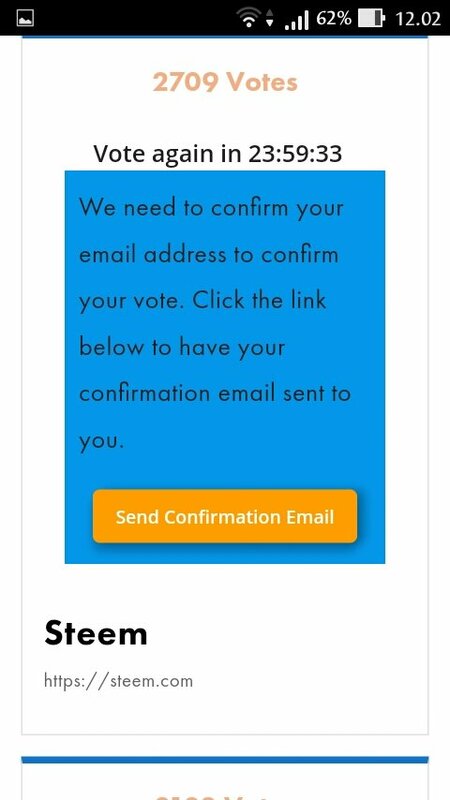 You will be then asked to confirm your vote by confirming your email address. 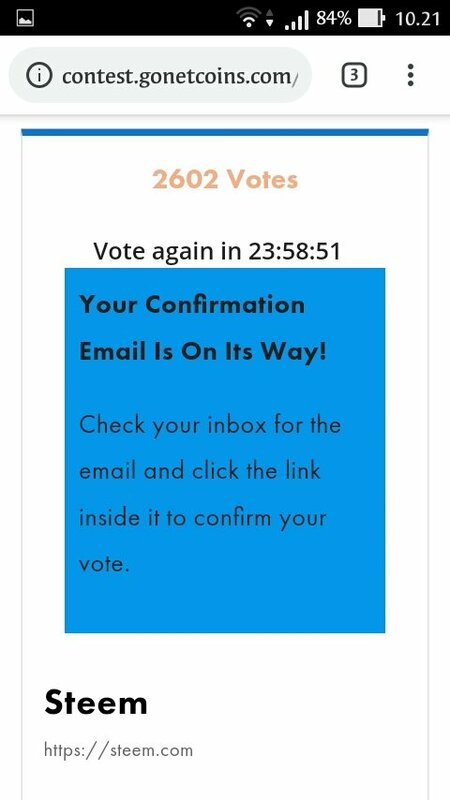 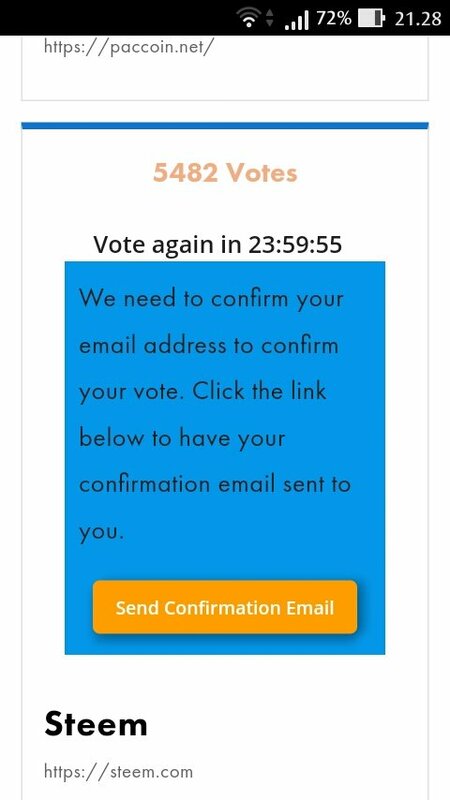 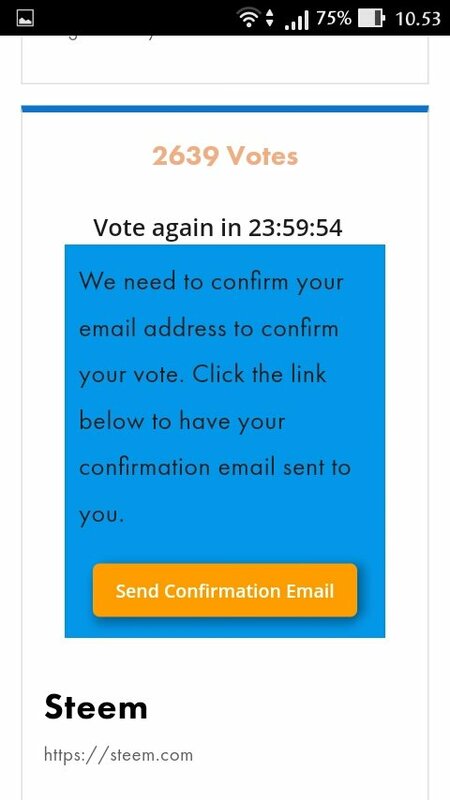 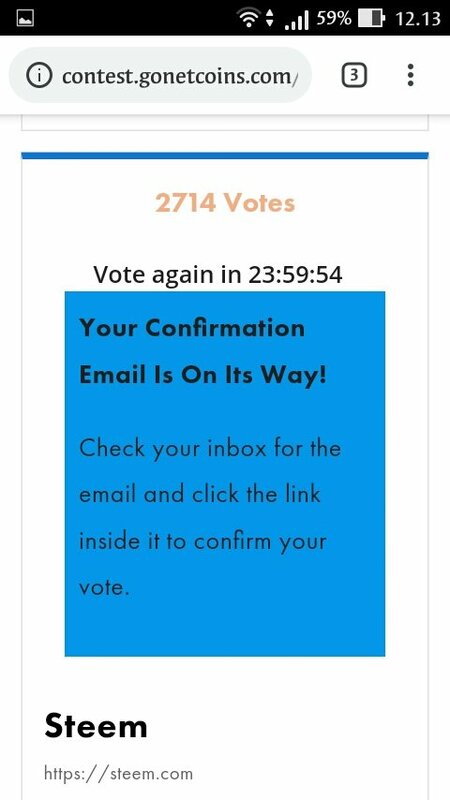 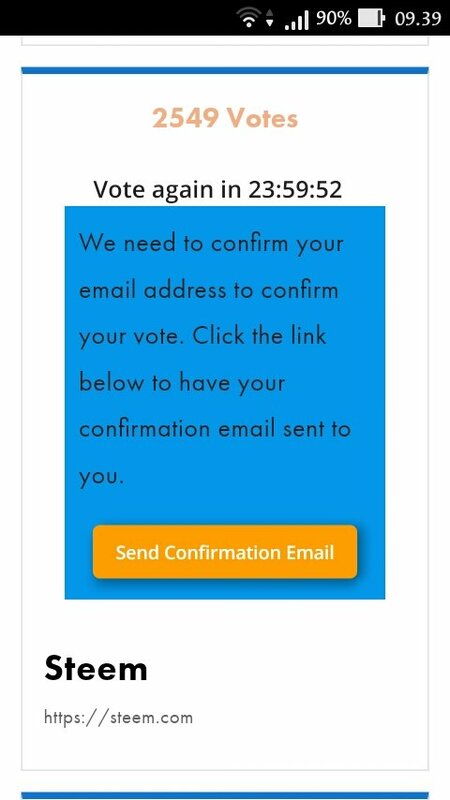 You will get this email, just click on the link to confirm your vote. 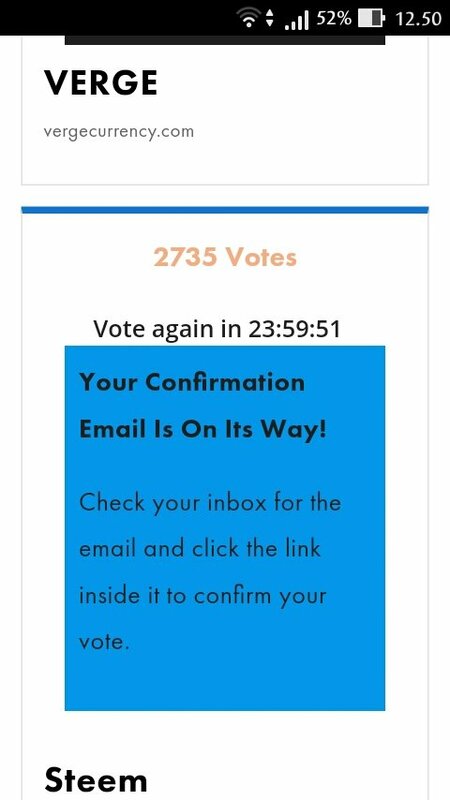 Once you click on the link in the email, your vote will be confirmed. 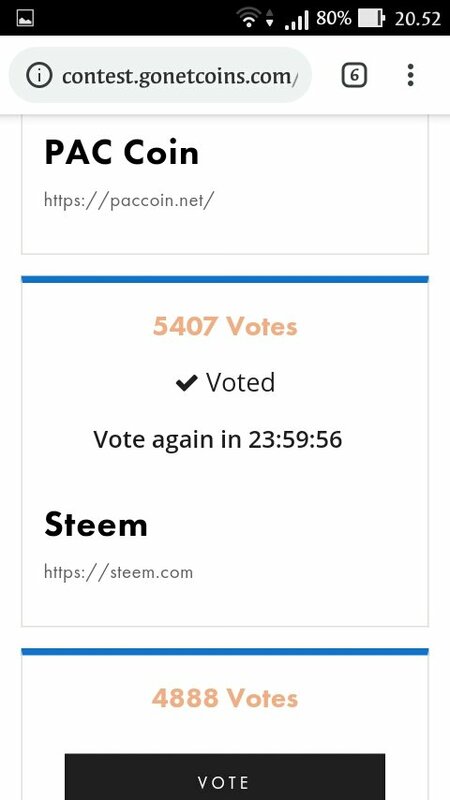 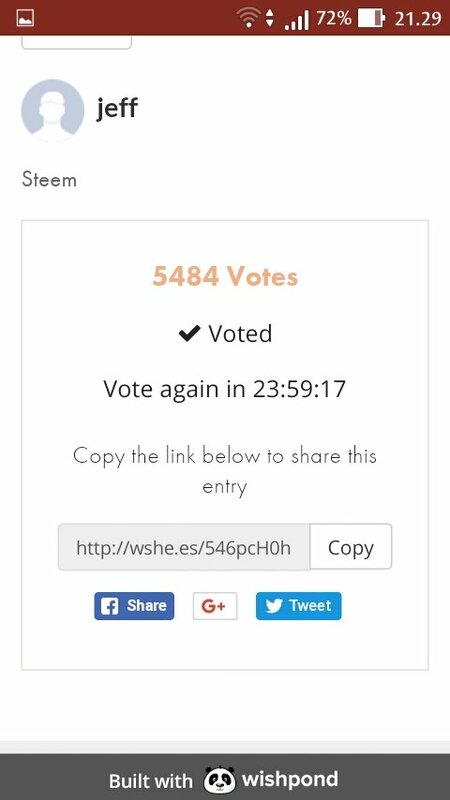 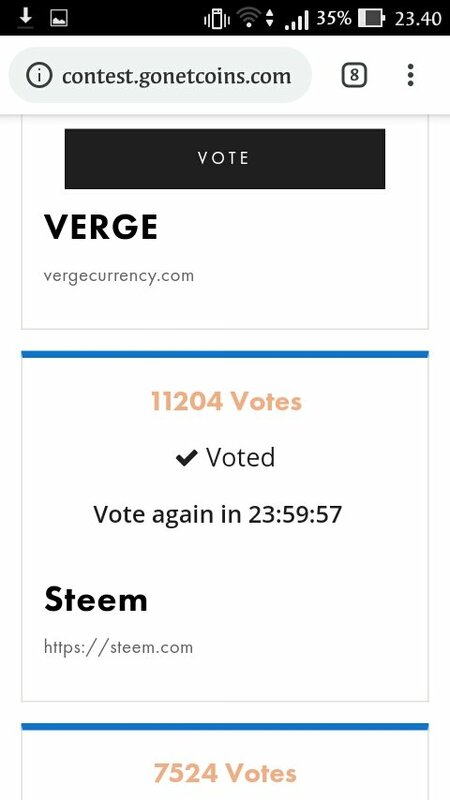 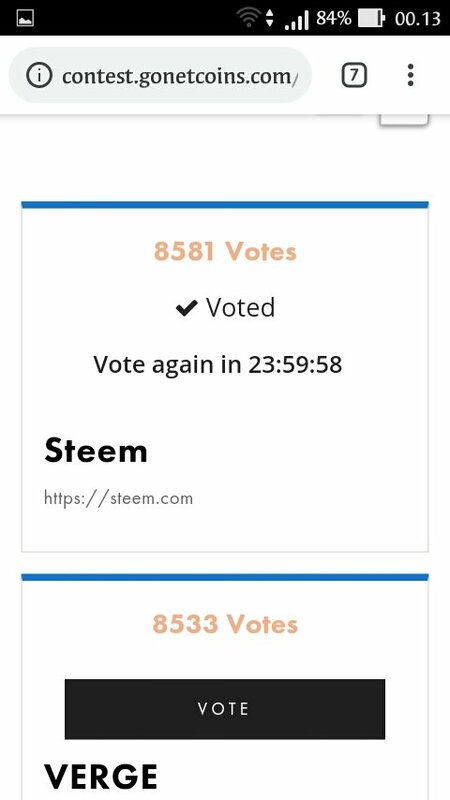 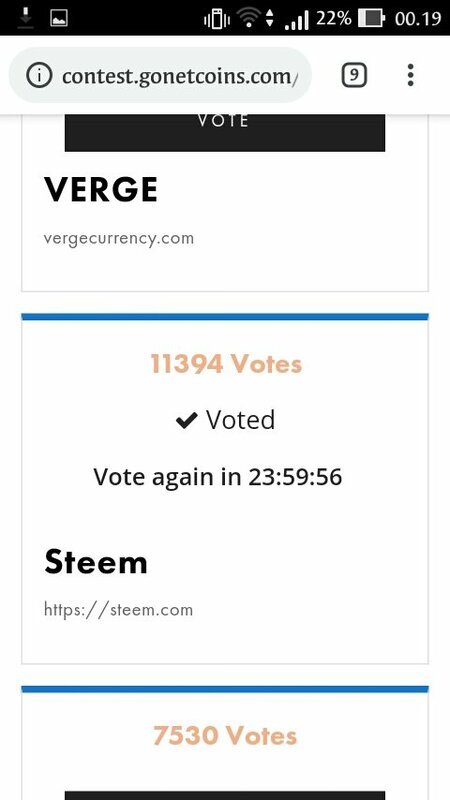 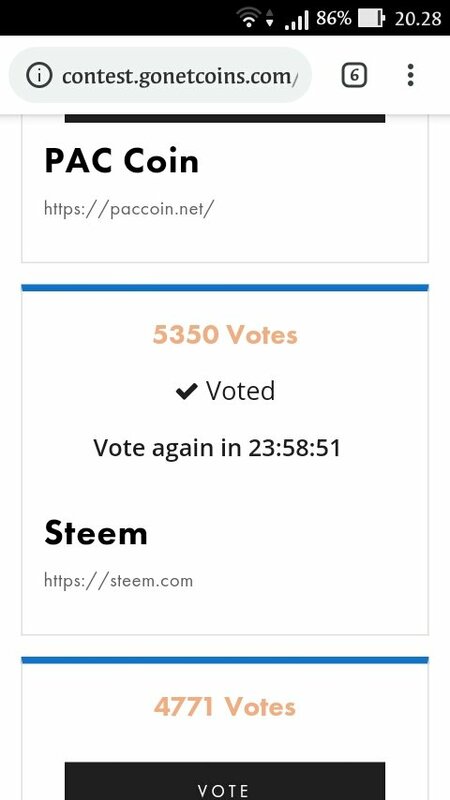 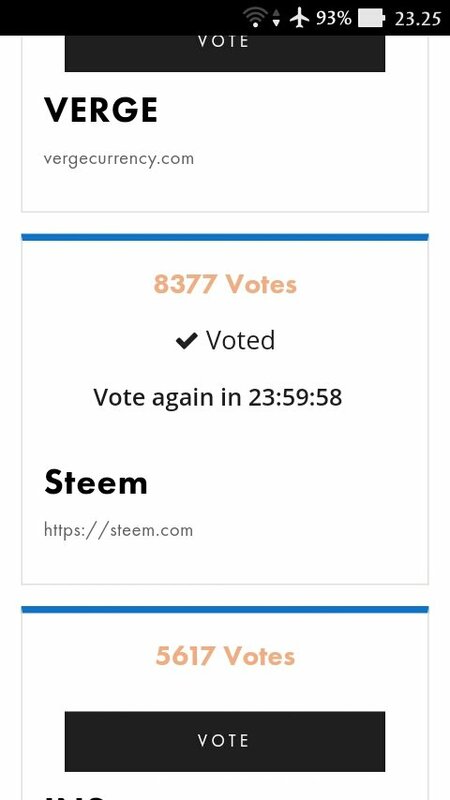 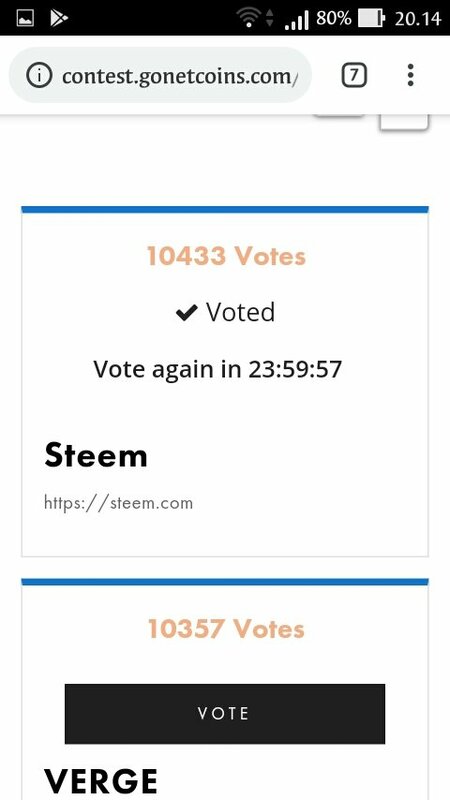 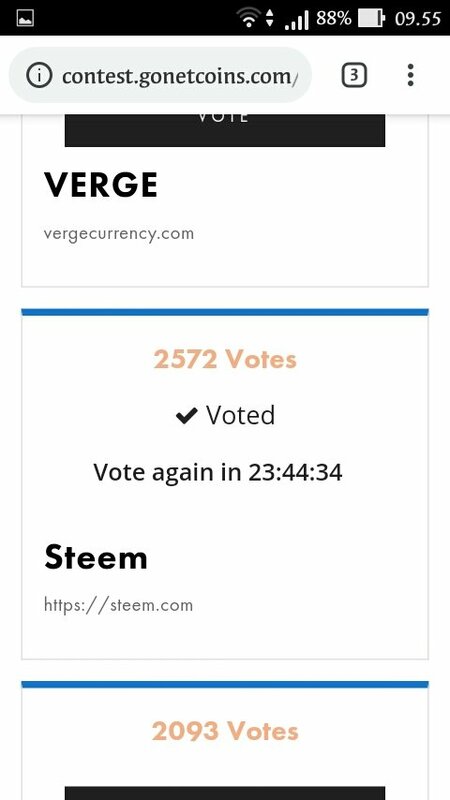 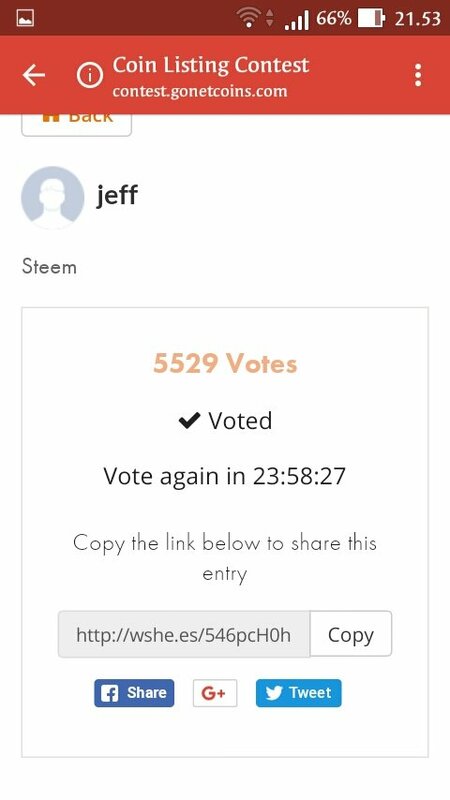 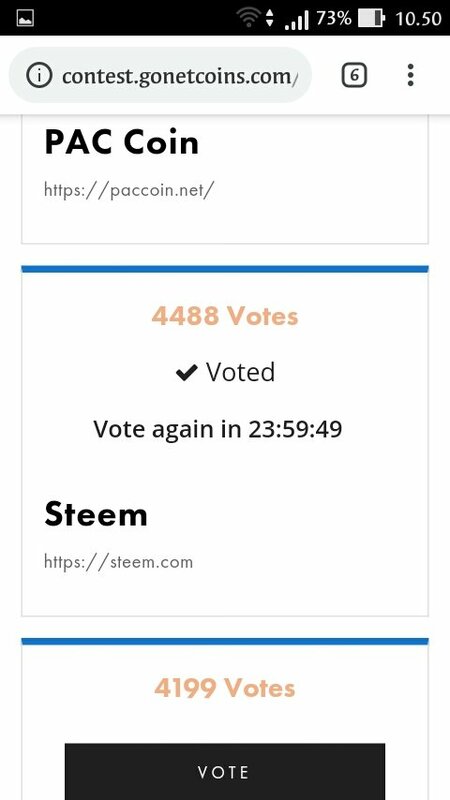 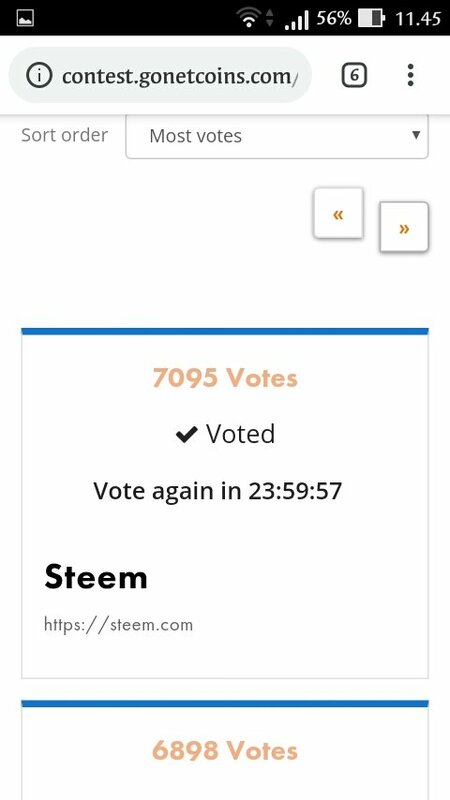 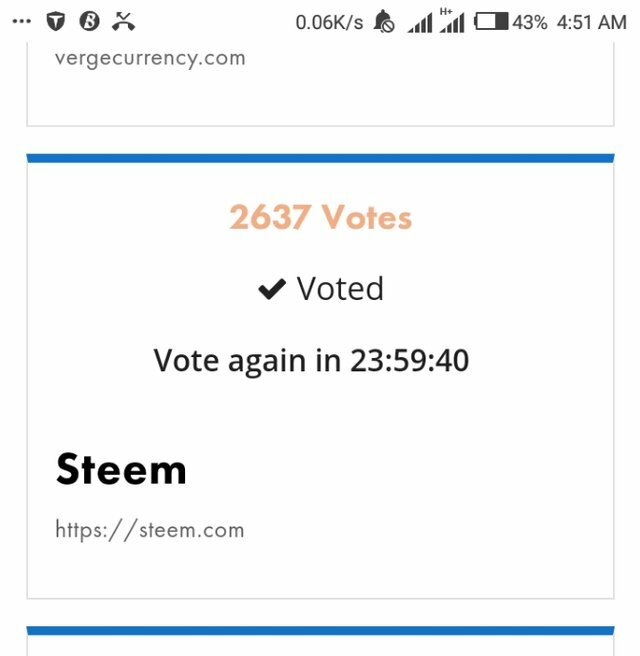 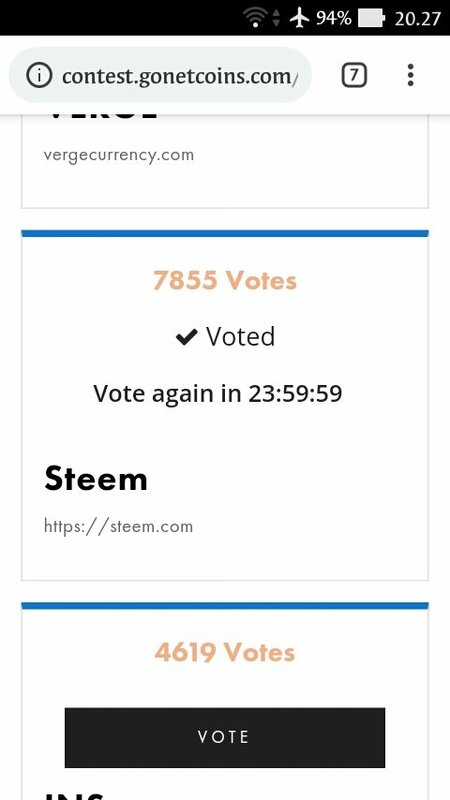 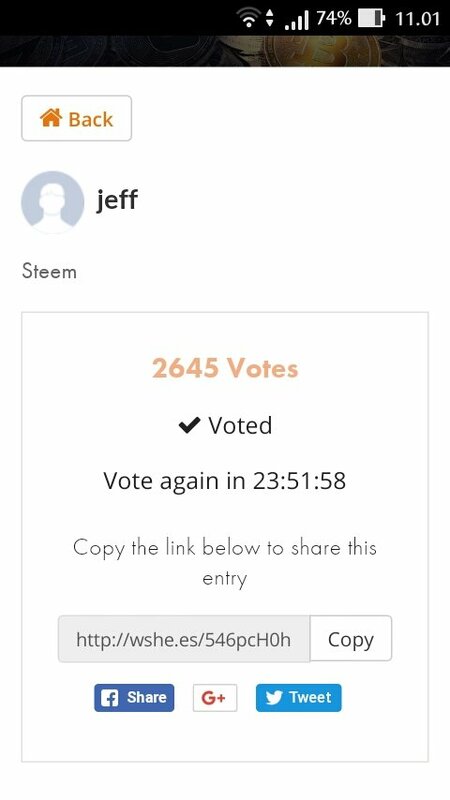 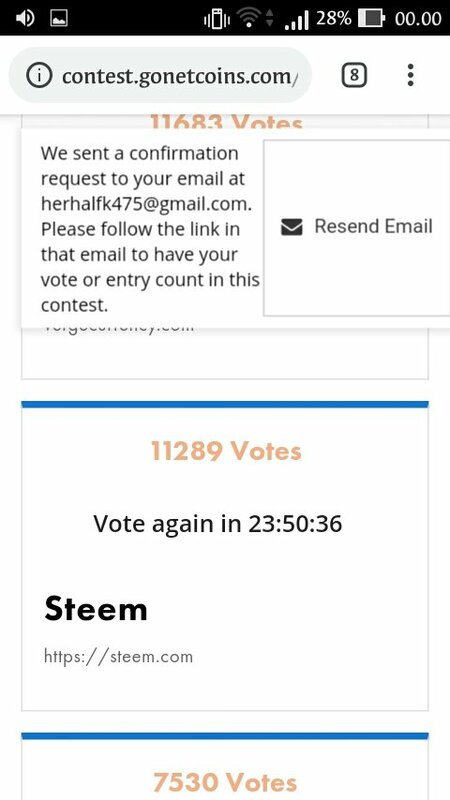 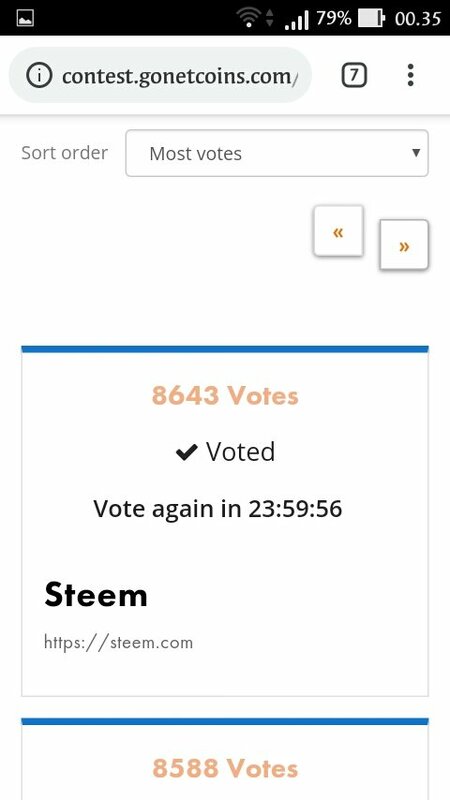 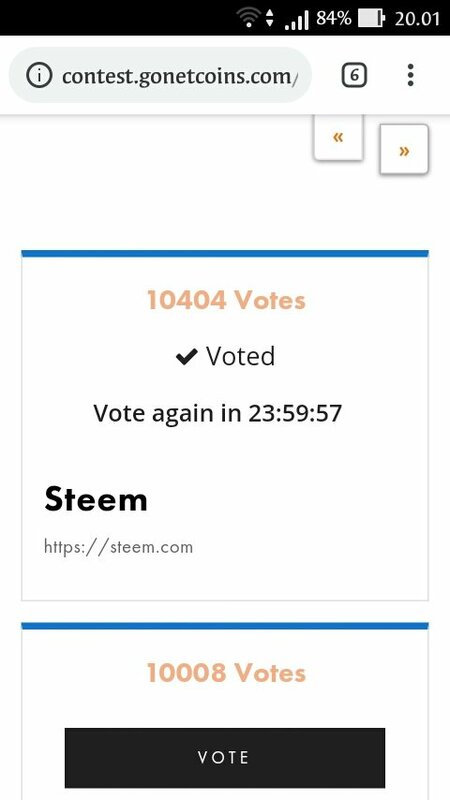 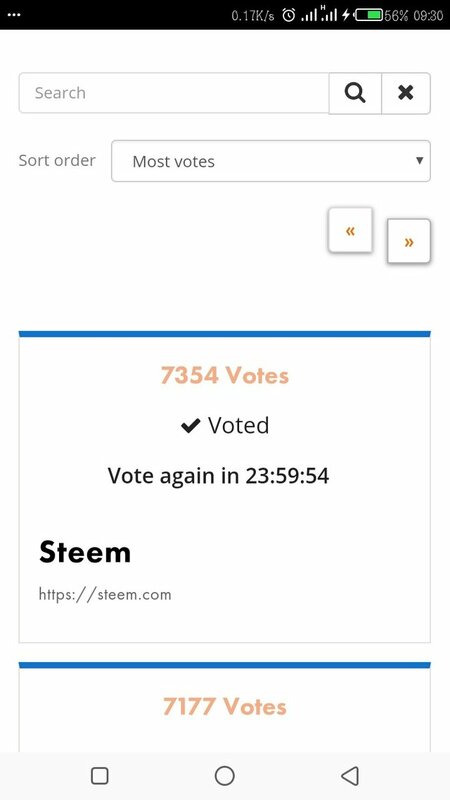 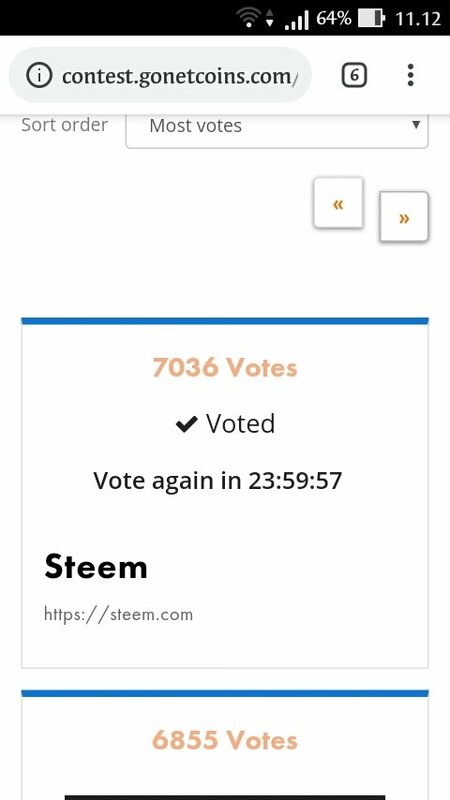 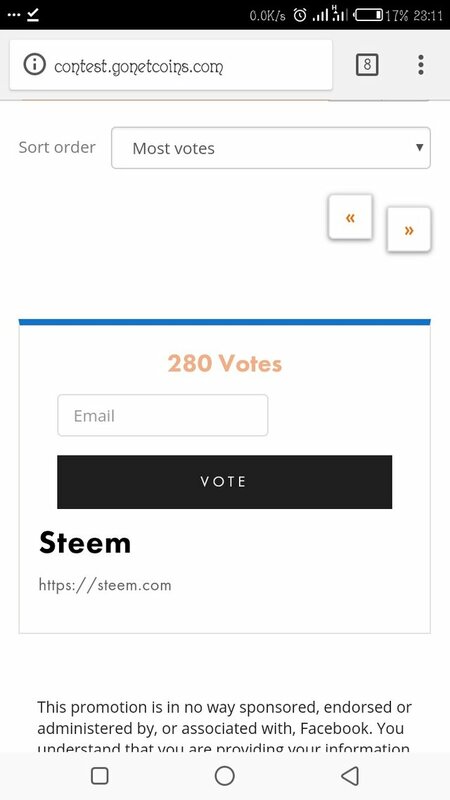 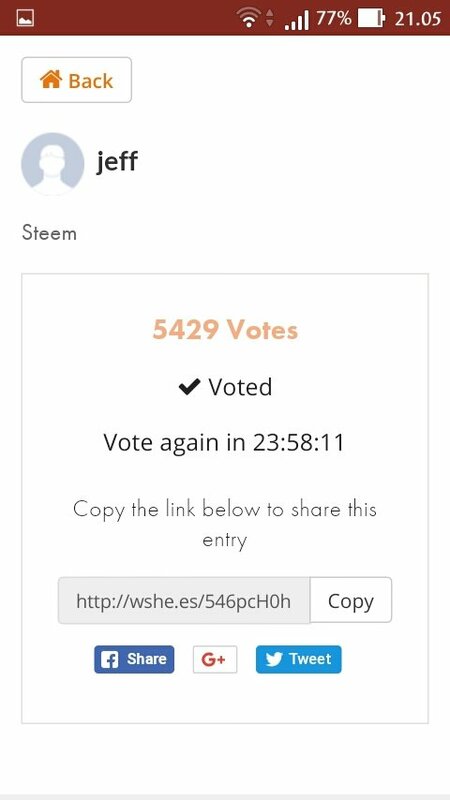 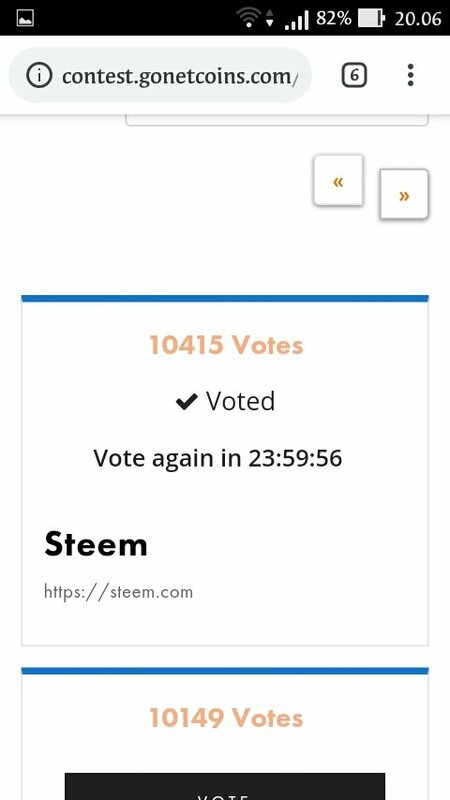 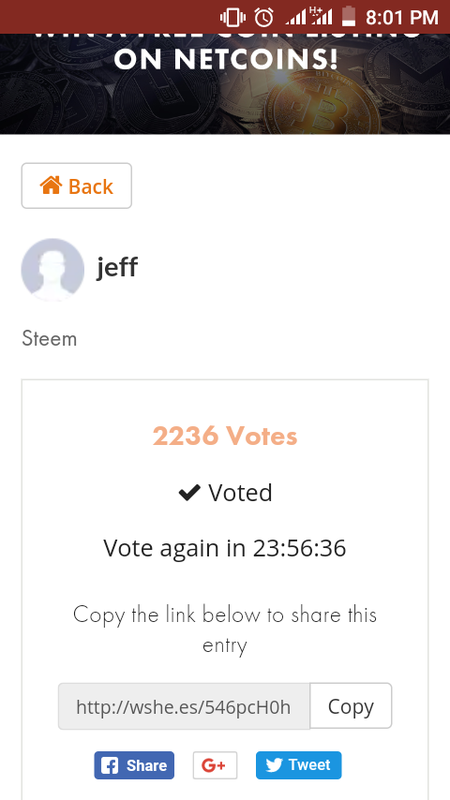 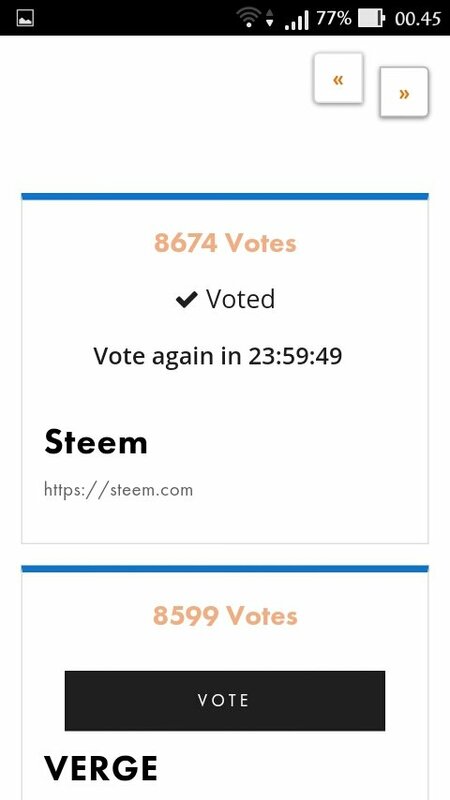 PLEASE NOTE: You need to VOTE for STEEM and not NOMINATE as STEEM has been NOMINATED already. 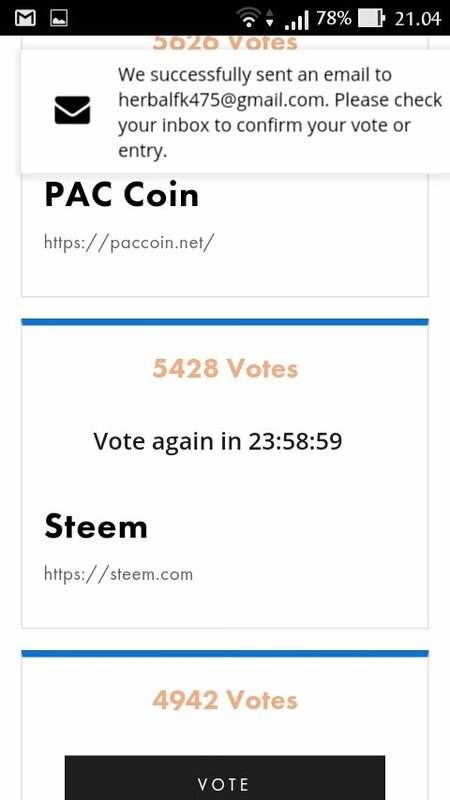 Once you complete all the above steps, Send us a proper screenshot by dropping it as a comment on this post and we will vote you at 50% VP until we run out of resources. 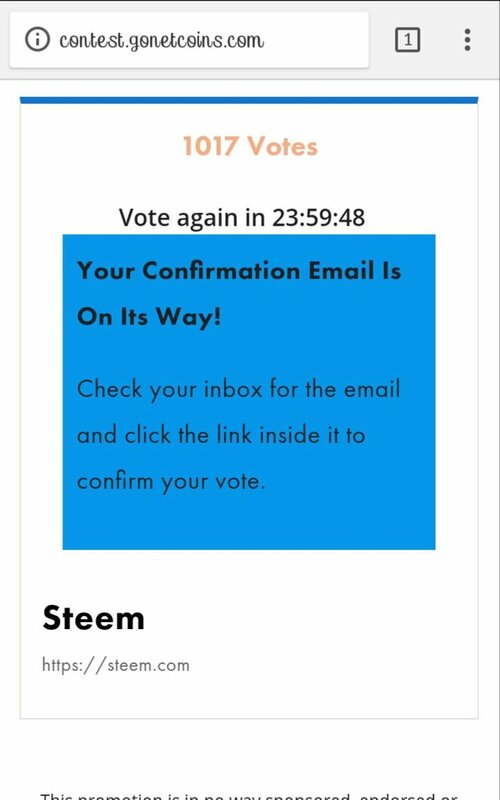 Thank you @steemjetmedia for supporting this task. 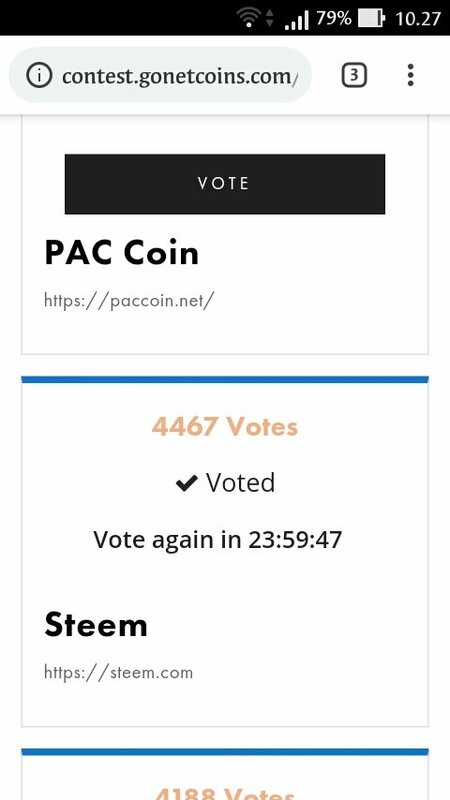 I'm all in like a poker game...good support. 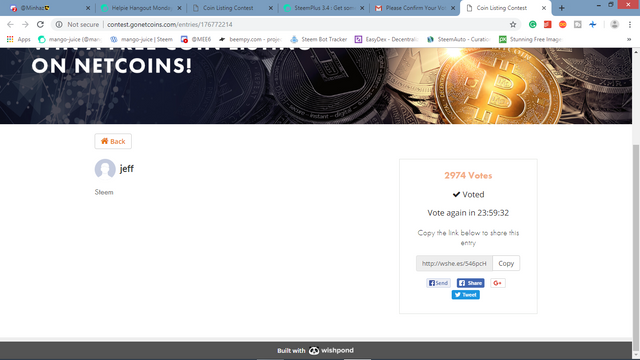 I can't update regularly because my resource credits are weak.